Located just off the historic California Route 101, the Ginosi Metropolitan Apartel places guests not just in Hollywood, but above it--12 full floors above it. The Ginosi Metropolitan Apartel offers stunning views of Hollywood and the comforts of home all on Sunset Boulevard. With neighbors like world-renowned film studios and Los Angeles’s premiere shopping and entertainment destinations, both staying in and going out are sure to be worthwhile. All our apartments are specially designed with your needs in mind, and the Metropolitan Apartel offers fully-furnished apartments with ready-to-use kitchens and free, high-speed Wi-Fi for every type of traveller in the heart of Hollywood, from single guests, to families or groups. Iconic Los Angeles destinations are within walking distance of the Metropolitan Apartel, and the diversity of attractions so close to home will ensure that all guests get the most out of their stay. Listen to your favorite records at world-famous Amoeba Music less than a mile away, or go to live show at the renowned Hollywood Palladium, just a 10 minute walk from the apartment, both on Sunset Boulevard. 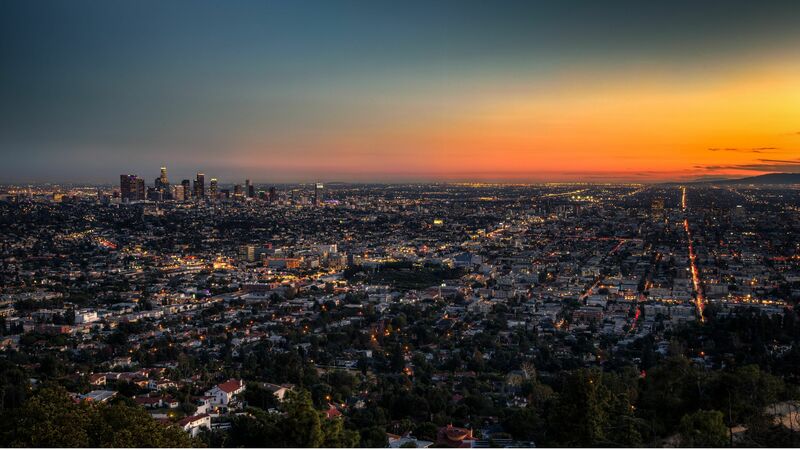 Travel east on Sunset to discover the hidden charm of East Hollywood, where Thai Town and Little Armenia await for guests looking for an eclectic Hollywood experience, or hangout with locals in the ultra trendy Los Feliz and Silverlake neighborhoods. Accessing the rest of Los Angeles is simple with the 101 freeway located directly next to the apartment for those traveling by car, or with public transportation on one of Los Angeles's expansive metro or bus lines. Great for visiting film studios and theme parks. What an amazing location. An amazing view. Incredibly clean. Will definitely be staying with this company in the future. Love it, very clean and spacious. Location! The layout of the apartment was perfect and the key pad access was extremely beneficial.